Our Slimpel 25 boiler was fitted in late December 2014. 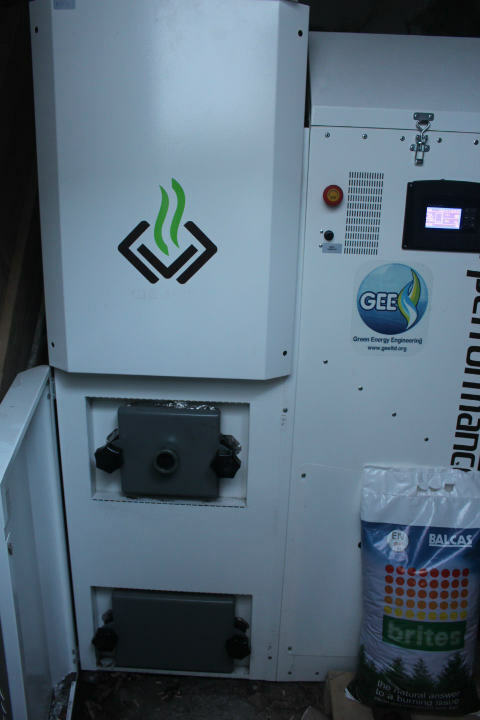 What follows is some of our experiences with using our wood pellet boiler, having upgraded from an oil fired boiler. Will it be a lot of hassle to look after? Will pellets be easy to source? And will it actually be any cheaper to run than our oil boiler? 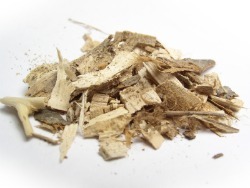 At the time we were considering the change I had a good knowledge of biomass boilers. Yet I still found myself running over the above questions in my head during the weeks prior to handing over what was a not insignificant amount of money to switch to a wood pellet boiler. Our house is over 100 years old with mostly 600mm solid stone walls (there are a few 270mm solid brick sections) so it’s very expensive to heat with oil (around £2,500 pa in 2013/14). Our EPC score is 28 (band F) so pretty poor. We wanted to take advantage of the large thermal mass in the walls and in a perfect world we’d have installed external insulation. That way the walls would store the heat and the insulation would stop it escaping turning the walls into even more effective storage heaters. Unfortunately it was going to cost £20,000 to fit the external wall insulation so the payback time was ridiculous and we didn't proceed with that idea. 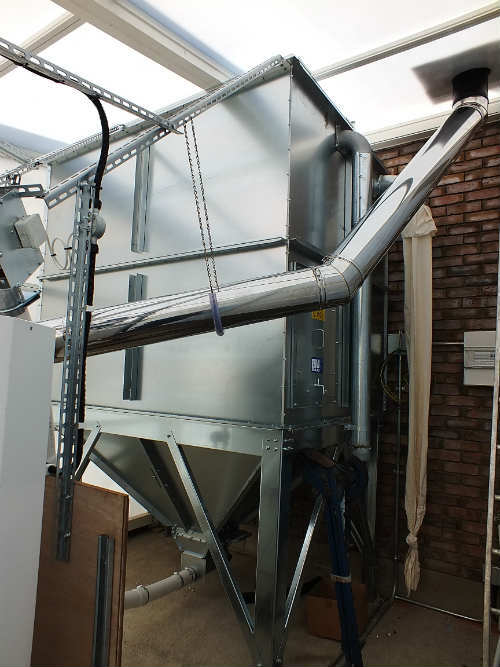 Long story short, the Slimpel 25 wood pellet boiler turned out to be the best option as I could get a £2500 grant towards the installation (N. Ireland only) and then get paid an annual grant of £2500 p.a. (This amount varies depending on your EPC score) via the Renewable Heat Incentive. This pays for the year’s pellets and part of the boiler. Our first year looks to be on target for costing £1,800-£2,000 p.a. in wood pellets. Choosing a boiler that didn’t need a separate buffer tank made the installation cheaper and cleaner as we didn’t really want plumbers working inside the house, which had just been refurbished. We wanted to be environmentally friendly and not have to rely on fossil fuels to heat our home. We wanted to be able to turn the heat on and forget it, rather than turning the oil heating on for a few hours in the evenings and an hour in the morning, which never really managed to heat out house properly. It was built around 1850. It’s mostly 600mm solid stone. As mentioned above the EPC score for our house is just 28 or band F, which is very poor but typical of an old stone house. It’s semi-detached so we have three exposed walls (technically three and a half as our neighbor is at a lower level than us). We're located on the coast, so we’re pretty exposed to driving wind and rain. Our loft has 300mm of mineral fibre insulation at joist level. Windows are Argon filled double glazing units (so perform pretty well). Doors are composite double glazed units with good seals. There aren't many draughts as windows and doors are well sealed, but it is nowhere near as good as I'd like it to be. Our heating system is zoned, i.e. we have a wall thermostat on the ground floor controlling the ground floor radiators and a second wall stat on the first floor controlling these radiators and a separate zone for hot water. So we can control the ground floor, first floor heating and hot water separately. We also have TRVs (thermostatic radiator valves) on our radiators. We have a thermostat on our hot water cylinder as well. So we can run the boiler all day and leave the thermostats to turn the boiler on and off as required to maintain the desired temperature. There‘s only two of us in the house, so we’ve set the boiler to heat the water twice a day for an hour at a time. Prior to making the final decision, we spoke to GEE (the suppliers) and they sent out a surveyor (Paul). He took various measurements and spoke to us to see what we were looking for and what our expectations of a biomass boiler were. After a short meeting Paul went away to carry out the heat loss calculations and we had to get an energy performance certificate arranged. Once these were complete he came back to us and suggested that the Slimpel 25 boiler was the right choice for our property. The installation of the boiler was really uneventful. GEE had given me a list of things that needed to be done before the boiler arrived, such as extending the flow and return pipes and installing a power supply in the new boiler house as the new boiler was too big to fit in our existing boiler house. 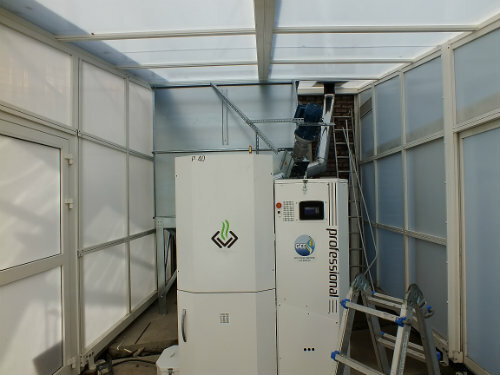 Once they arrived on the day of installation and manhandled the Slimpel 25 through a standard doorway in our garden wall (that was the toughest part of the entire install) everything went really quickly. The boiler was up and running within 6 hours of it arriving. 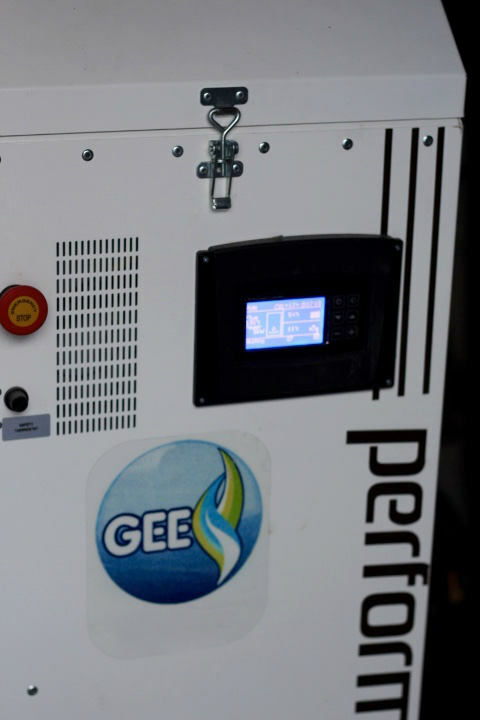 According to their calculations GEE suggested running it for 10 hours a day in order to have it run at its most efficient level. So we did exactly that, we set it to come on at 12 noon and go off at 10pm. The first few days used around 5 x 10kg bags per day. This was more than I expected but in hindsight this extra usage was likely due to the house being very cold and it took the boiler a few days to get the walls (600mm stone) of the house up to temperature. This usage dropped to 3½ bags (35kg) per day fairly consistently for over a month (Jan – Feb 2014). Once we’d ran the boiler for around 6 weeks I wanted to try running it 24hrs a day to see if it made much of a difference. At 12 o’clock the house was relatively cool, having lost a degree or two over night while it was switched off. So when the boiler would come on at midday. It would then have to work hard (around 25kW output) until it got the house up to temperature again (21ºC). At this point it would modulate down to between 5 and 10kW to maintain the temperature in the house until it switched off at 10pm. Only to repeat this cycle the following day. I was of the opinion that the large thermal mass within the walls of our house should maintain the heat and give it out slowly if we kept the heating on 24hrs. That would also mean that the boiler could just tick over at between 5-10kW and never have to ramp up to 25kW. We did this for another month and to my surprise the extra 14 hours only used an extra ½ bag (5 kg) of pellets. So we went from 3-3½ bags per day to 3½-4 bags per day, but we had 24hrs worth of heat. Granted it’s not exactly scientific but it worked for us. As it turned out finding pellets was pretty easy, even though where we live isn't exactly a metropolis. I did a quick internet search and found around 3 suppliers withing 20 miles of where we live and they were all fairly competitive on price. Plus they all stocked "EN Plus" pellets which are high quality with the minimum amount of dust. I ended up going with a local firm who are happy to help me carry the bags of pellets from the drive round to where I store them at the rear of the house. Our Slimpel 25 has been a great investment for us. We now have a home that’s warm all the time. If any of you live in an old solid walled house like ours you’ll know that they can be very expensive to heat. Or any house over 10 years old for that matter. Our house has never been so warm, we’ve even noticed that our solid wood floors have shrunk slightly as they’re now so much drier than they’ve ever been. 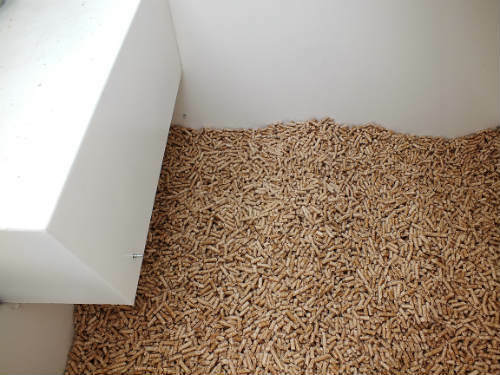 What’s more, we spend around £2,000 per year on wood pellets and the RHI payments gives us £2,500 per annum (which is the maximum payment, as our house is fairly inefficient). This means we cover the cost of all our pellets and the rest goes towards paying off the purchase price of the boiler. Our total grant payments are worth £20,000 over the next 7 years. Whereas if we’d stayed with an oil boiler our fuel costs would be around £2,500 per annum. So over the next seven years we’d have spent around £17,500. As you can see when given the option of spending £17,500 over the next seven years or getting free heating for the next seven years it wasn’t a hard decision to make. Click here to see my review of the Slimpel 25 wood pellet boiler and see how many pellets we've been using over our first year. In March 2015 we changed our Slimpel 25 back from heating 24hrs a day to coming on 10 hours per day as the days were getting warmer coming into spring and we wanted to reduce our pellet usage. Consumption dropped back to between 3-3½ bags (30 - 35kg) per day depending on outside temperatures. We’ve seen another jump in the outside temperature to around 10-12ºC. So it'll be no surprise that we’ve noticed a drop in pellet usage over the last week down to between 2-2½ bags per day. I’m guessing that we’ll probably run the boiler for another month or so (hot water and heating) and then in May we’ll probably switch the heating side of completely and just run the hot water for an hour in the morning and an hour in the evening. I’ll update this once I know what the pellet consumption is like. On July 16th we switched off the heating and just used our Slimpel 25 boiler to heat the water only. 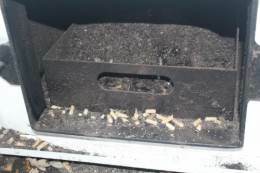 Pellet usage dropped significantly to around 3 bags per week. Due to a very mild Autumn we didn't have to turn the heating back on until 25th September. At which point we went up to around 2 bags (20kg) per day. As soon as the temperature dropped our usage went back up to 3 bags or 30 kg per day and has sat at that level pretty consistently all winter. This winter we decided just to leave the heating on 14hrs rather than turning it on 24hrs a day in order to keep our pellet usage down slightly. 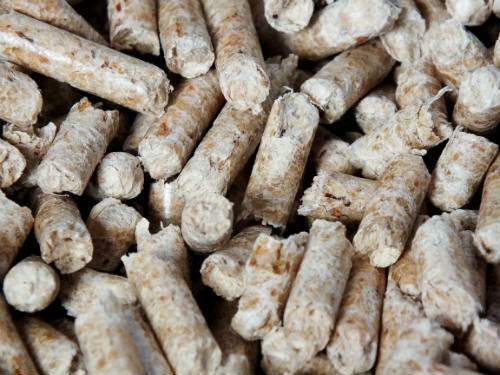 You can see our yearly pellet usage in the article reviewing our boiler here.